Is there really much that can happen with insulation? Many homeowners know that insulation offers a plethora of benefits. Primarily, it helps with climate control, keeping your property cooler in the summer and warmer in the winter without having to run your A/C or heater constantly. It also protects your home structure from the elements such as wind and rain as well as intruders like insects and rodents. After installation, you might forget about it, but without periodic insulation service, you could be missing out on some of the important benefits! Along with insulation installation, some other services that could be needed include vapor barrier removal or replacement and sealing holes to prevent air entrance and escape. Which one is it time for on your property? Vapor barriers are components of insulation to prevent water vapor from getting into your home structure and causing issues with mold and other concerns. These are typically installed in your crawlspace and often made from a water-resistant material such as foil or plastic. 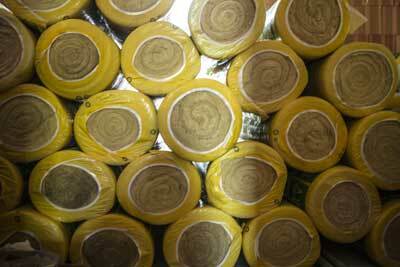 There is much debate about whether having vapor barriers in your home are a benefit or problem. The answer is that vapor barriers can be either harmful or beneficial; it all depends on how your specific home was constructed. When our weatherization experts come to your home, they can tell you whether having one or not will be better based on a variety of factors. Depending on whether it’s a pro or con for your property, our team will recommend fixing a broken vapor barrier or removing it completely and trying a different method of dampness hindering. But whichever one it is, we have the skills and experience to do either! Unfortunately, insulation doesn’t last forever. As its job is to protect your home from many negative effects, sometimes it can wear down. And worn down insulation won’t function as well as insulation in optimal condition. Especially if you have damaged siding, your insulation can be exposed and prone to damage. As it’s the next line of defense from the weather, it is important to make sure it’s functioning properly. And because it can be warm in cold winter months, it’s no wonder animals like to make their homes in it! Unfortunately, some creatures eat away at it, which is not only dangerous to them, but to your home as well. Ideally, your insulation will stop outside air from coming in and causing temperature fluctuations. But if there are holes in it, then the seal is broken and air will continuously leak through. If these holes are large enough, they can also let in unwanted bugs and critters. Fixing them promptly can avoid problems with pests and also lower your monthly utility bill. 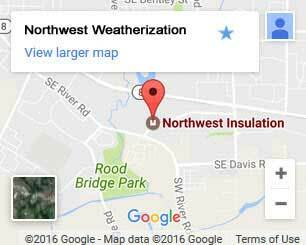 Let our insulation experts come by to help! We’ll identify any problems and come up with a plan for insulation service to make it right!